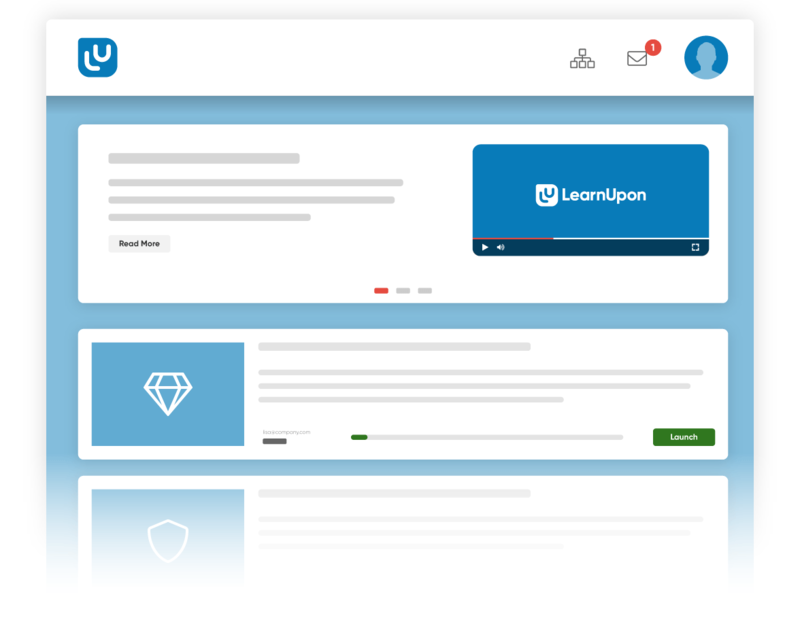 LearnUpon's learner-friendly platform makes training accessible, engaging, and simple to do. From mandatory training to self-directed learning, LearnUpon allows you to configure our LMS interface to be as simple or sophisticated as your business needs. Catalogs, learning paths, or gamification - you decide how your audience learns. Ensure your learners spend their valuable time completing training — not learning how to use our interface. 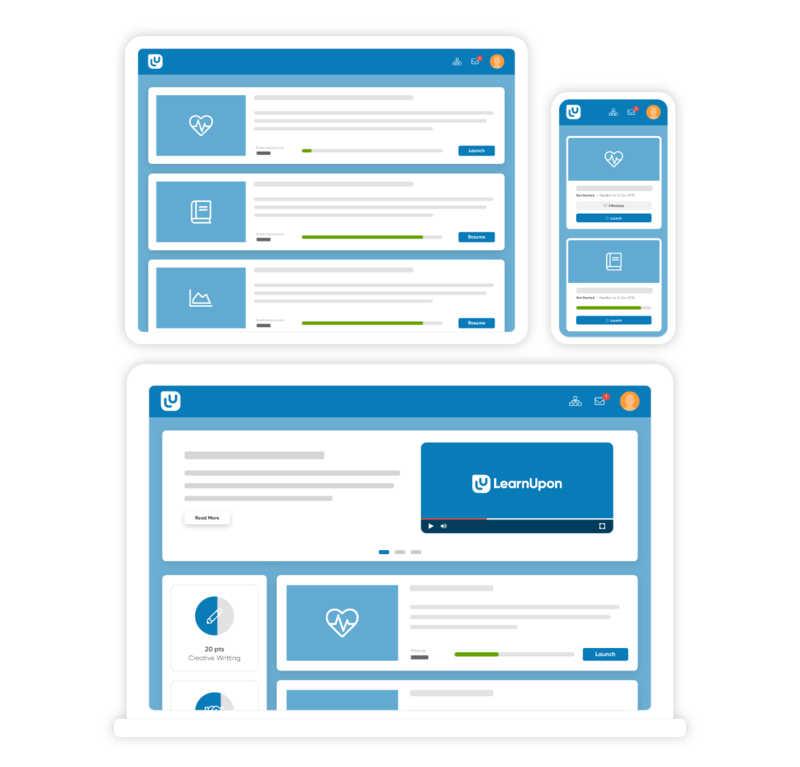 With LearnUpon's intuitive learner dashboard, you'll be confident your learners can easily take and complete their training. 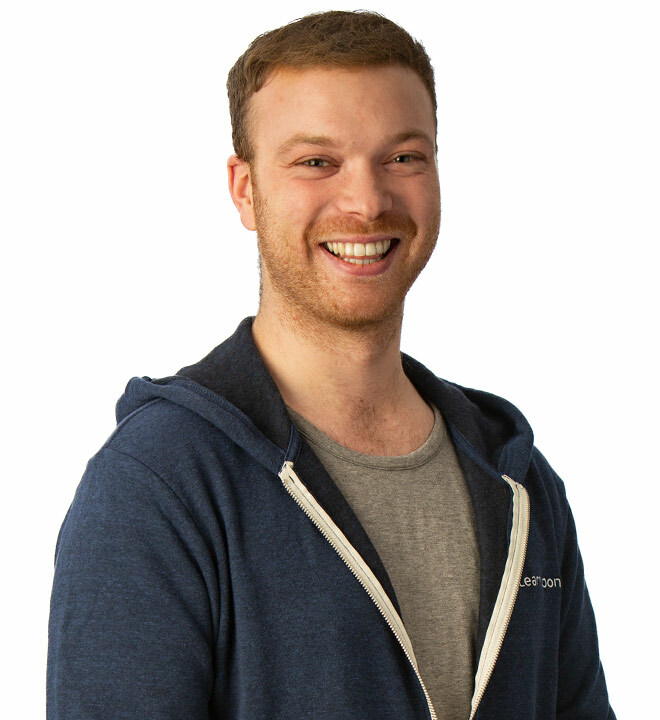 With one click learners can instantly launch a course, view their history, or even download their training records. There’s no learning curve - just learning. Use LearnUpon's mobile-friendly LMS for on-the-go learning. Learners can complete their courses on any device - desktop, mobile or tablet - wherever and whenever they wish. Provide worldwide learners with an LMS in their language. LearnUpon supports English, French, German, Spanish, Chinese and much more. Ensure learning is top of mind. 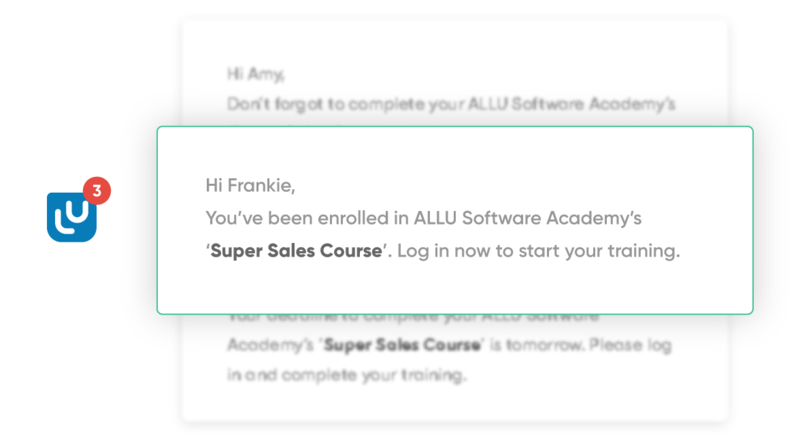 Send automated notifications and reminders to let learners know they’ve got training to complete. Engage your learners throughout their training. Every badge unlocked, point gained, and level reached is tracked on the learner dashboard to keep them motivated. Want to start a conversation with your learners? All contributions are tracked in your own forum, so you can keep up-to-date on each topic.